Science and the supernatural join forces in this exciting new Villains and Vigilantes adventure! Can your heroes discover who broke into the top secret military chemical warfare facility hidden deep in the everglades?! 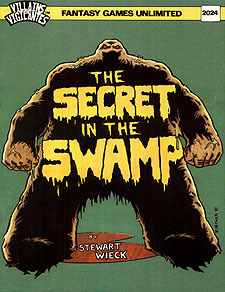 Can they overcome the danger that await them as they attempt to unriddle the Secret in the Swamp?! Before it's too late!